Intro to Omega-3 and Omega-6 Fatty Acids. 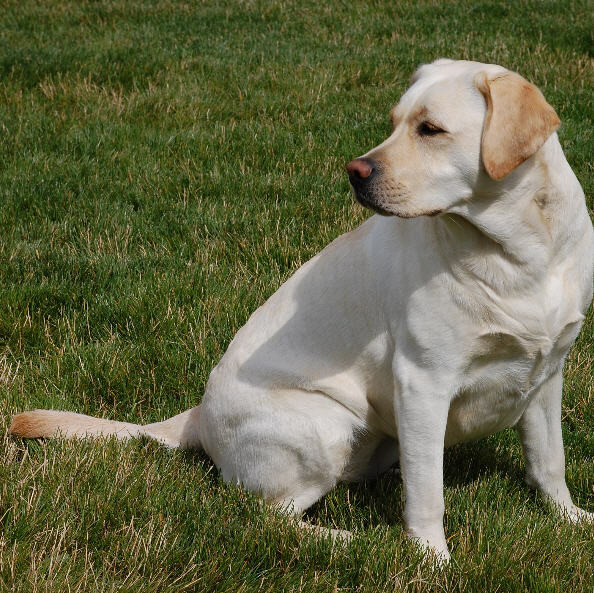 Sources of Fatty Acids and Their Dietary Value For Dogs. Krill oil as a dog food supplement is rising in popularity just as it is getting more consumed by humans. There are many reasons for taking krill oil, and we are going to cover them later. However it is essential to understand what krill oil and other fatty oils do and how they work in our body. So here is a short nutrition chemistry reference. Omega-3 and omega-6 are two types of essential polyunsaturated fatty acids. They are called “essential” because our body cannot produce them and must obtain them from the food we eat. Most important omega-3 acids are eicosapentaenoic acid, called EPA and docosahexaenoic or DHA. Omega-3 fatty acids are rare in today’s diets, and come mainly from oily northern fish (salmon, mackerel, sardines, bluefish, black cod etc. ), walnuts, flax seeds, enriched eggs and krill. Vegetarian sources of omega-3 are only precursors, however (alpha-linolenic acid, ALA), and it has to be turned into EPA and DHA by our body (note that dogs and cats can not turn ALA into EPA and DHA, so nuts and flaxseed won’t work for them! Read more in flaxseed oil for dogs). Omega-6 fatty acids, however, are very common in today’s diet, as they are found in seeds, nuts, beans and oils made from them. Number one source of omega-6 fatty acids are processed foods, because they all contain soybean oil. For instance, one fifth of all calories (calories, not even fatty acids!) in the USA diet are coming from soybean oil and its’ derivatives! If we’re talking about food specifically, then fast food is usually full of omega-6 fatty acids. 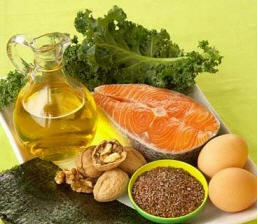 The intake of omega-3 and omega-6 fatty acids needs to be balanced for a healthy life. In the older times our diet was more balanced because there have not been so many processed foods, but nowadays omega-6 fatty acids prevail in what we eat. As a result, people (and even dogs as well) nowadays suffer from asthma, obesity, all cancer types, hyperactivity, depression, dyslexia, immune system decay, coronary heart disease and neurodegenerative diseases. That is, most diseases that can be traced down to inflammation and immune system depletion. This happens because omega-6 fatty acids increase inflammation in the body (this is normally an important and positive component of the immune system), boosts cell proliferation and blood thickening (clotting). Omega-3, on the other hand, have an opposite effect: they reduce inflammation, work as anti-coagulants (make blood more thin), serve as components of cell growth and cell membrane thickeners, control the immune function. Normally we should intake equal amounts of omega-3 and omega-6 foods, but today’s diet and mass nutrition does not allow that. As a result we rely on omega-3 supplements more and more in order to be healthy. We take fish oil, krill oil, flaxseed oil in pills and capsules. What about dogs? They do suffer from fatty acids disbalance-related diseases as well. This site is going to give you information on the use of krill oil as a dog food supplement.